Though bullying is nothing new, it’s been all over the news in the past few years. 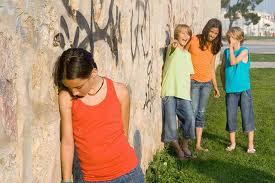 Bullying is, without a doubt, a hot-topic in education right now. With advances in technology and rapid expansion of social networks online, never before has bullying been a problem of this scale. Be sure to attend this special presentation on the subject of teenage bullying sponsored by Glenbard High School District 87. The even will take place tomorrow, Wednesday, August 22nd at 7PM in the Glenbard East High School auditorium (1014 South Main Street in Lombard). Another school year begins, and so with it comes pens and notebooks, band practice and football games. But so, too, back-to-school for many students means a return to bullying. That’s why the organizer of the Glenbard Parent Series decided to kick off this year’s series by inviting Lee Hirsch, author and director of the 2011 documentary “Bully,” to discuss his film with students and parents.